You’d think by now, 67 bakes in to my around the world in 80 bakes challenge I’d be getting pretty good at this baking malarkey. Alas I still have the odd disaster and ruin a cake or two. Is it because I can’t resist tampering with the recipe? Is it because I’m slap dash in the kitchen? 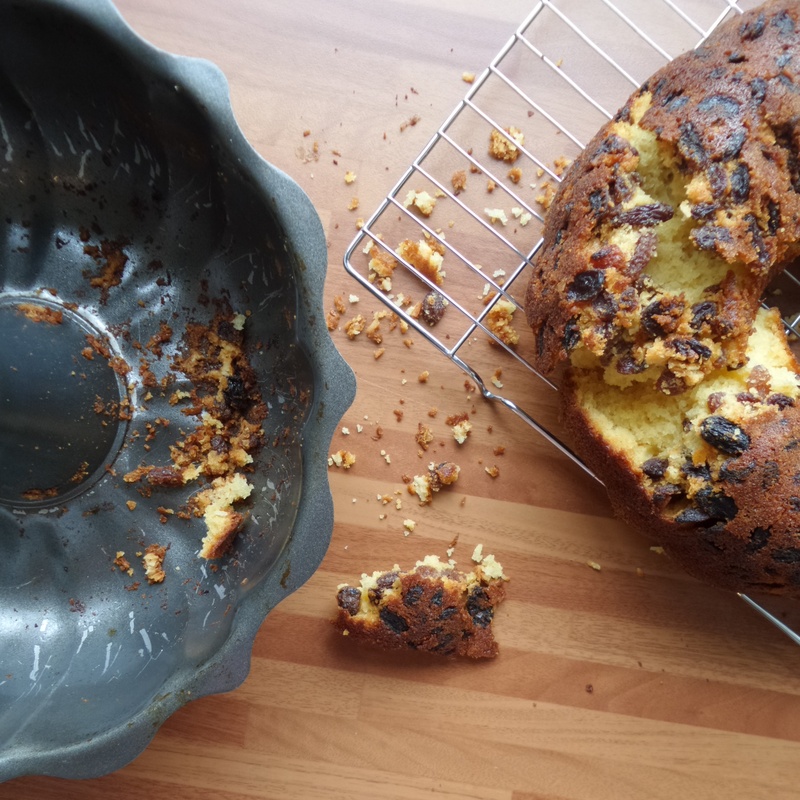 Or is it because the sultanas all sank to the bottom welding the cake to the tin meaning I had to hack at it with a sharp knife to prise the last half from it’s bundty prison? 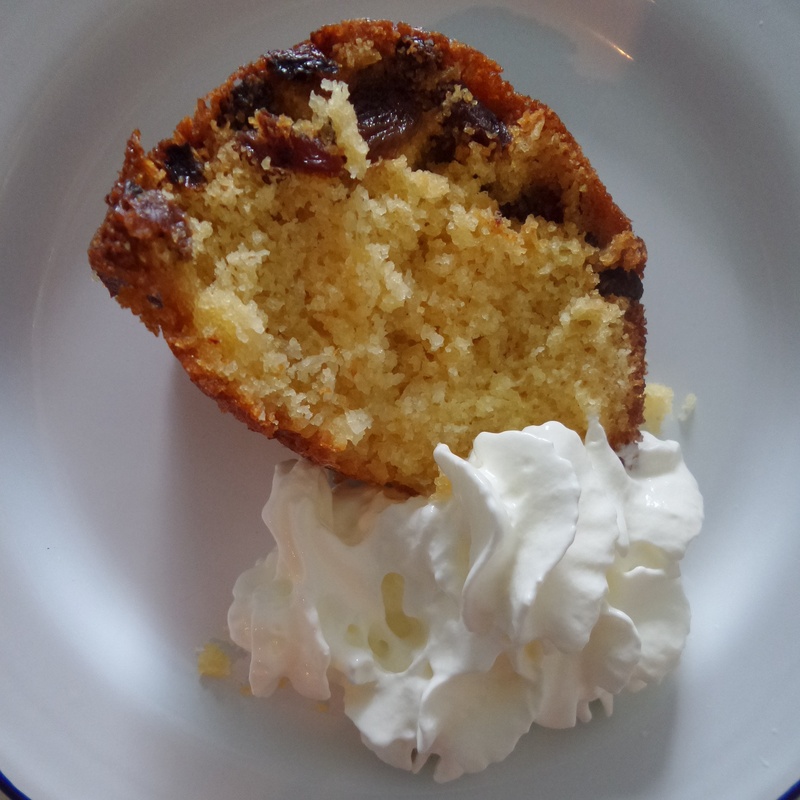 Perhaps I was a bit too roough with the Peruvian Corn Cake? I guess it’s a combination of all 3 to be honest. Nevertheless I took it to cake club to share with my friends and enjoyed an enormous slice of it smothered in whipped cream. Which hides a multitude of sins and disguises the broken bits. 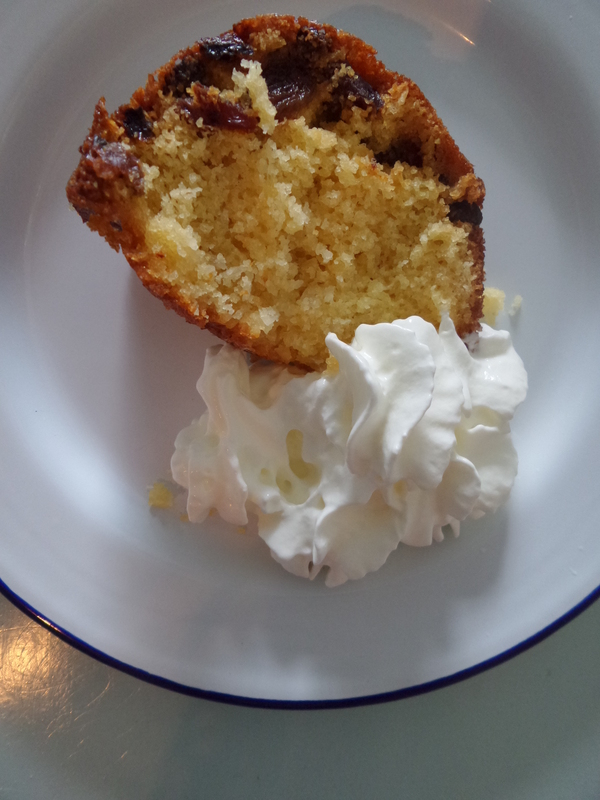 The Peruvian Corn Cake is infused with Star Anise and stuffed full with coconut and plump sultanas. It’s a perfect crumbly cake to accompany a strong cup of coffee. 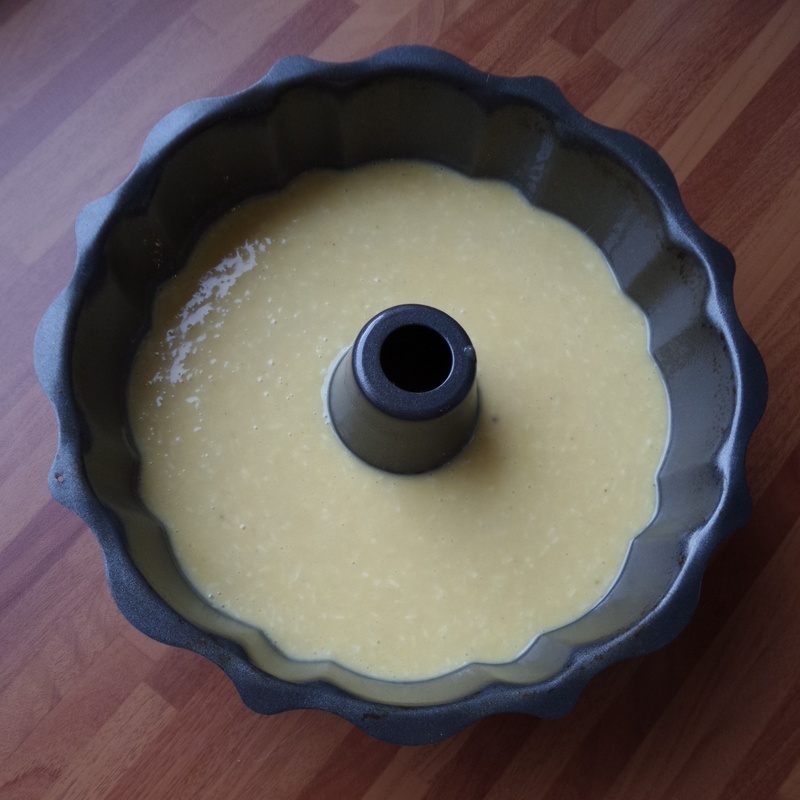 Cornmeal gives the cake a wonderful golden yellow hue and an interesting texture. 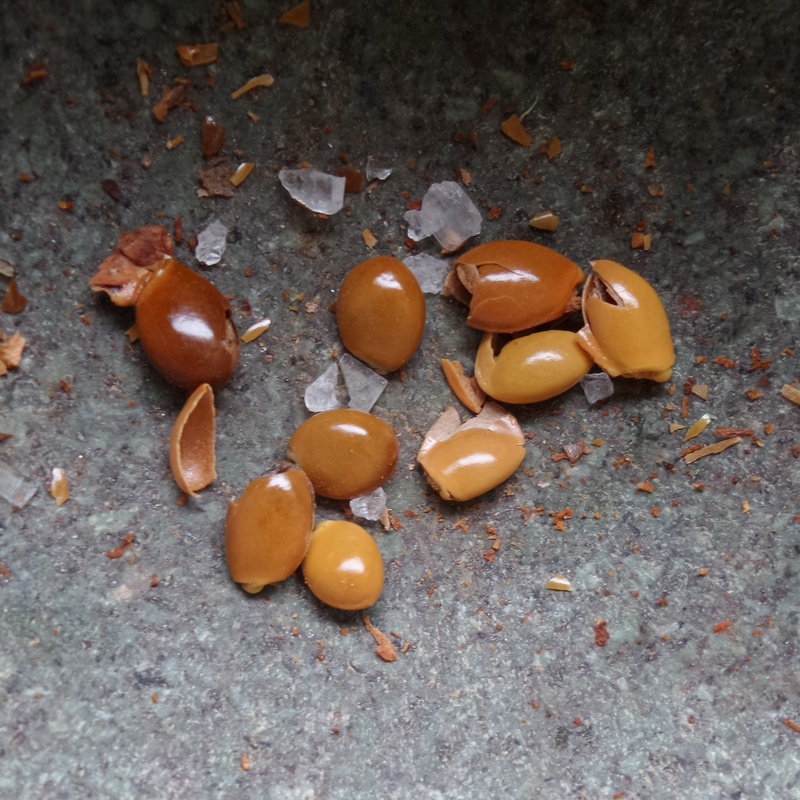 Light yet crumbly to the touch with bursts of sweet moisture from the sultanas. I’m a big lover of fruit cake and bundt cake and coconut and spice so this is an absolute winner for me. 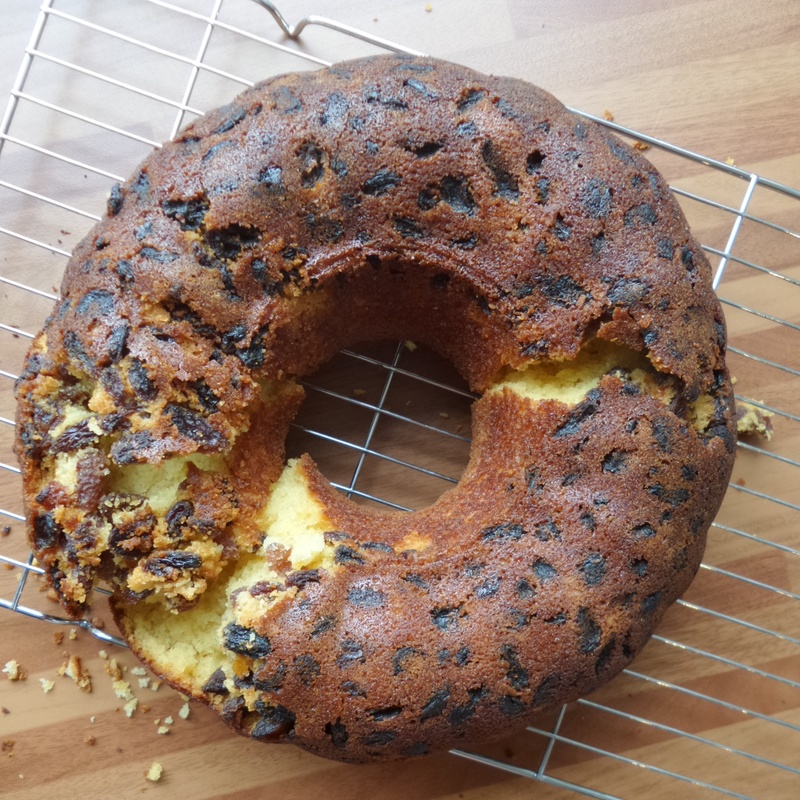 I bet if you soaked the sultanas in a little rum beforehand it would be sublime. Being lazy I whacked everything into my kitchenaid knowing full well that if you want to distribute your dried fruit evenly you should roll it in a little flour first and fold it into the batter. Alas I was hasty and missed this step so I had sunken sultanas. Although the cake batter is very fluid so I doubt it would suspend sultanas throughout the cake. Gravity is inevitable. I adapted this recipe from a wonderful book which could have literally been made for me. Cakes from Around the World. Step 2: Then beat in the eggs one at a time adding a little of the flour if it starts to spilt. 240g Fine milled corn meal (not to be mistaken for corn flour which is white not yellow). If you only have coarse corn meal blitz it in the blender to make it fine milled. Step 3: Measure all of the flours and spices together. Beat in a third of the dry ingredients followed by a third of the oil. 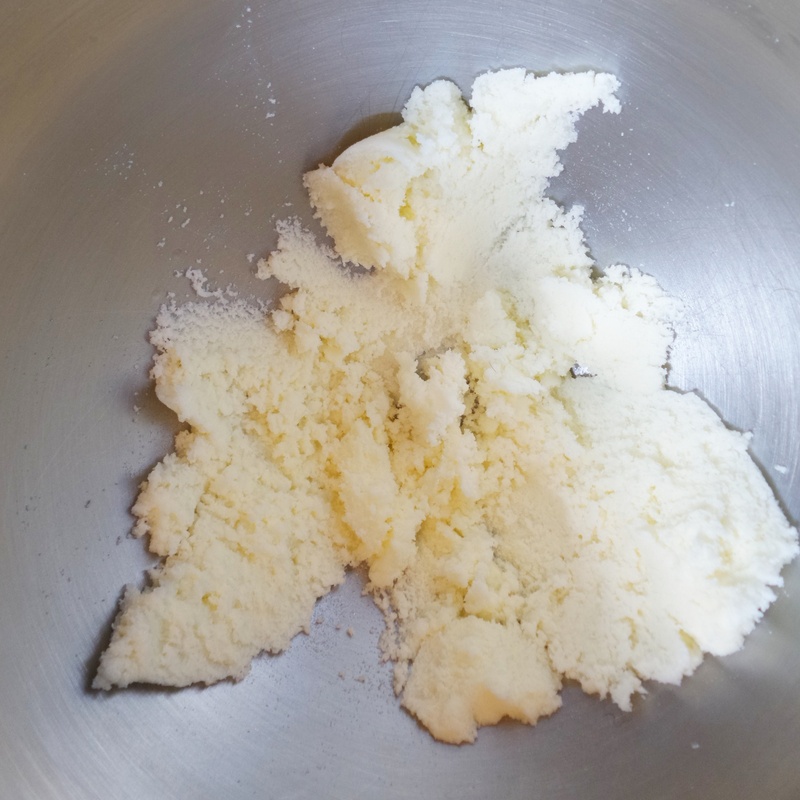 Repeat until all of the flours and oil is incorporated into the batter. Don’t forget to scrape the sides of the bowl down too! 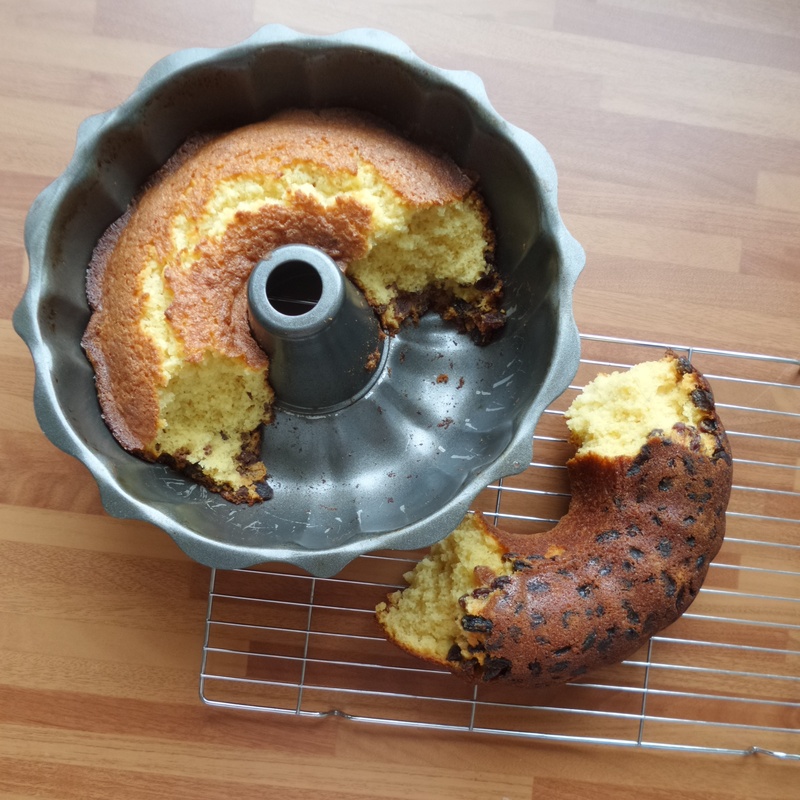 Step 5: Pour your cake batter into a thoroughly greased bundt tin. You could add a little flour too for good measure. Step 6: Bake in the centre of the preheated oven for 45 minutes at 190 degrees Celsius (fan). Step 7: Allow to cool before attempting to coax it from the tin. Slice and smear with whipped cream. Eat enormous wedges with strong coffee!